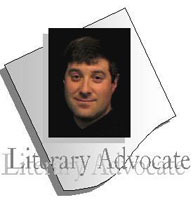 WordSmitten interviews Literary Agent Jeffrey Kleinman. Jeff Kleinman says, "Selling a first novel that a writer had been working on for about eight years," is a shining moment of his career. An attorney and a literary agent with The Graybill & English Literary Agency, Kleinman comments, "I open my eyes every morning, thinking that I can work on something incredible and cool that day, and I go to bed each night brooding on the problems and issues confronting the project I'm working on—it's creative and energizing." With the recent bidding war surrounding one of his clients, the nights are longer and so are the phone calls. Kleinman's cell phone rings constantly and he answers it instantly. For the business he is in, and for the current wave of enthusiasm over a particular client's unpublished but in-demand manuscript, Kleinman is accessible. In a recent book publishing news report, Kleinman commented about one of his clients (actor and writer Ron McLarty) that we've "already turned down multiple pre-empts and floor offers." The enthusiasm Kleinman has for McLarty's manuscript, titled MEMORY OF RUNNING is evident. "He's a remarkable writer," Kleinman says, "and everyone who reads it calls before they've finished the last page. Usually, they are crying --it's so poignant." He is expecting to close a deal for McLarty that ensures a very sustainable writing career. "When I get a book like this, before I take it on, it has to be the kind of book that makes me miss my subway stop." With everything Kleinman accomplishes, whether as an attorney or as an author's representative, he firmly believes that an essential characteristic for success is to remain patient with the publishing and writing process. Whether it is fiction or nonfiction, he compares writing to running when he says, "You may be a short-distance sprinter or a long-distance runner; the issue really is to be effective at whatever category you choose. And that means focusing on really writing well." To write well, Kleinman believes that a writer must have the basics. He says, "An understanding of structure, pace, momentum and an ability to tell some kind of story, even in the most technical nonfiction is critical." Kleinman not only loves and believes in what he does, he insists that writers do the same. "If you really love what you do—if you write because you love to write, because you've thought deeply and well, and have important and compelling things to say, if you've worked hard and lovingly at honing your craft to the best of your ability—if you do all that, I think that passion and that power comes out in every word, every sentence. It might not be the best word or the best sentence, but something behind those words will come through—and I think that passion is infinitely marketable." Being "marketable," however, can be a tricky thing. A writer's work is affected by a whole slew of circumstances, much of which are out of the writer's—and the literary agent's—control. Take recent events, for example. Kleinman says the events of September 11, 2001, "And the ensuing events in Afghanistan and Iraq have certainly, and unfavorably, impacted the business. Books are harder to sell, harder to promote. 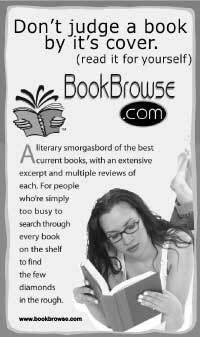 More books are being returned and publishers are acquiring less and less, which makes everyone a little jittery." For Kleinman, the worst part of his job comes when he's unable to sell manuscripts that he says, "Are wonderful, saleable, and marvelous — but the publishing world doesn't agree." What advice would he give to an aspiring writer—what advice would he give to his four-year-old daughter if she someday pursued a writing career? "Associate with all the smart, funny, talented, creative people you can, learn to write beautifully, but don't stay locked in your room to do it: go out and try new things, meet new people, have a wonderful, rich, compelling, and interesting life—and then tell me about it in the most beautiful prose imaginable." Short Story Competition The TenTen - $1,010 award - TBA soon - Fall Edition! are service marks of WordSmitten Media. All Rights Reserved.